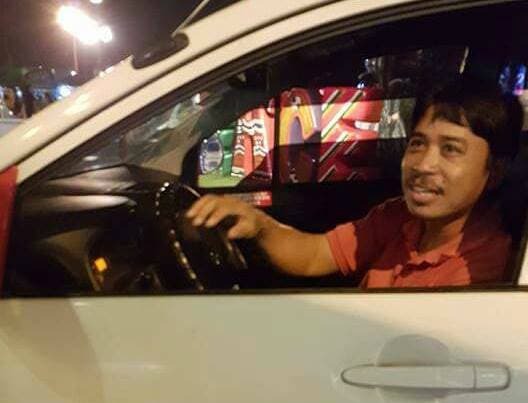 READ: Netizen Leaves Expensive Phone in Taxi, Honest Driver Returns It! We’ve all read our share of negative stories regarding taxis, and we’ve seen it surge during the holiday season. Yes, there are drivers that take advantage of commuters who will pay any fare just to get home, but there are still good samaritans who think of their passengers first. Let this story inspire you that not all taxi drivers are bad. Ike Bomban shared on Facebook a good experience he had after riding a taxi in Iloilo. When his wife left her Samsung Note 5 in the car, they didn’t expect to get it back. But they were surprised that the driver went out of his way just to return it! Need to hire a taxi in Iloilo? Look for Eman Bartolo, Shamiah Taxi. Just call 09306911228. Maribel left her Samsung Note 5 cellphone in a taxi tonight. We didn’t expect to see again it, but this man went out of his way to find us and return the phone to Maribel. Let us reward honesty. Use his service. Do you have a good taxi experience? Share them with us at koji.wheninmanila@­gmail.com! Do you remember these 11 childhood snacks we all had for baon? It Figures Facial and Slimming Salon shares 10 Ways to keep yourself BEAUTIFUL!